The Astana, very aggressive, miscalculated: stopped Luis Leon and let the German do, who starred in an exhibition on the rise to Arrate. Landa stayed in the final stretch. El Bora changes the surname of the leader of the Tour of the Basque Country. On a very tactical day, he played very well the cards. From Schachmann to Buchmann. Follow the German way. After the four days of Max's leadership, it was the turn for Emanuel, in the mythical climb to the Arrate Sanctuary. He took advantage of Astana's calculation failure to deliver a near-fatal blow to the race. From afar, the Bora burst the race. Luis León waved the little tree with Madouas, Henao and Buchman. The main protagonists gave them encouragement. Before Trabakua, Martinelli, sports director of Astana, stopped Luisle thinking about Ion Izagirre or even Fuglsang, and missed the shot. It was a moment of madness, when it came to putting another in front. He left Buchmann free as a bird, who walked towards the goal with about two minutes ahead. They thought that it would not hold but the German clock in this round is on time. In the end he reached the goal 1:08 and with the bonuses he already has in the general 54 seconds on Ion and 1:04 on Schachmann, that when the road was steep he showed his weaknesses. The exit Astasna was panic. It was very offensive , but he lacked the auction. With six kilometers to go, Buchann had a very lively pace and he saw himself as the winner; either he delivered it or they had to organize very well from behind. Fuglsang hardened the rhythm, and Landa finally jumped in search of fame. Then he stopped. It seemed the classic start-brake of the champions. But it proved to be fireworks. Ion and Yates started a wheel from Alava. The Colombian Martinez was cut and Schachmann suffered the unspeakable from behind. At the end between Fuglsang, Izagirre and Yates started the impossible hunting of Buchmann. 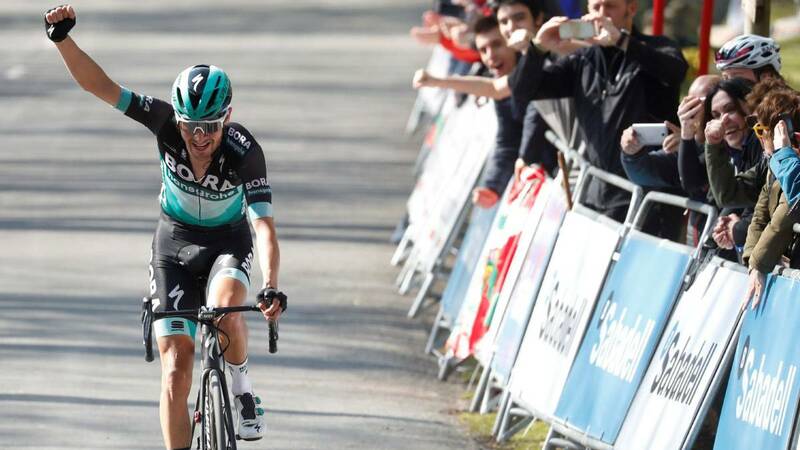 Ion chased the fourth podium of the Itzulia. The race had been very hard and the legs weighed. The German was not fattened and although he noticed that they were coming from behind, gasoline was similar for everyone. Movistar was confused by the weakness of Landa and the hunt did not reach success. Buchamn is left to defend the yellow on a roller coaster by Eibar tomorrow, on the sixth and final day.